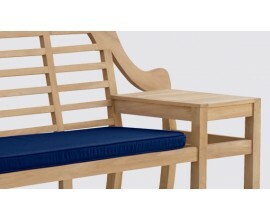 Our Cheltenham cushions are a perfect fit for our Cheltenham benches. 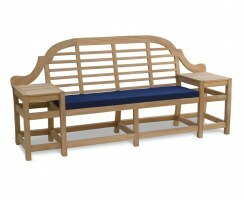 The perfect finishing touch, add a splash of colour and comfort to your garden bench. Our Cheltenham cushions feature showerproof and machine-washable covers, meaning they're easy to care for and practical. With a range of colours and sizes to choose from, browse our range of Cheltenham cushions here. We also manufacture bespoke, made-to-measure cushions on request – call us on 02086556240 to discuss.